Leadgate Task Force, at the request of Fr. David Cleugh, agreed to take on the task of clearing and preparing the plot in St Ives Churchyard that had historically been where stillborn babies had been buried without markers. After the initial visit to assess the task work began on Friday 7th April 2017 with the initial clearance of brambles, low branches, general overgrowth, and removal of large stones. 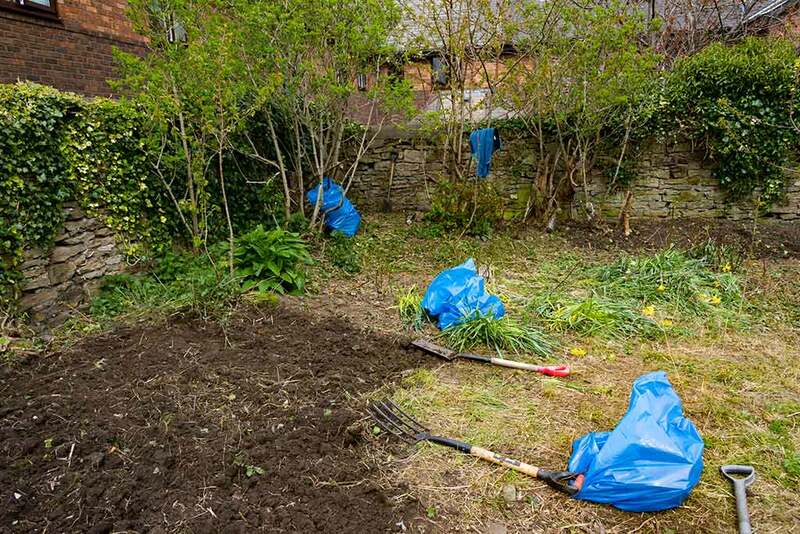 Two volunteers; Janet Lavery and Lennie Curry hacked their way through the undergrowth for 4 hours (8 man hours) and in total managed to fill 14 large sacks of waste which were taken to the Council Dump in Stanley. A Memorial headstone was uncovered from the undergrowth of 5 month old Alan Coombe who sadly died in a house fire at Pont Bungalows on 4th November 1965. The bulk of the work was done over the Easter weekend, 13th -17th April 2017 inclusive, when Janet worked 23 hours assisted by Lennie 8 hours and Chris McCabe 4 hours. 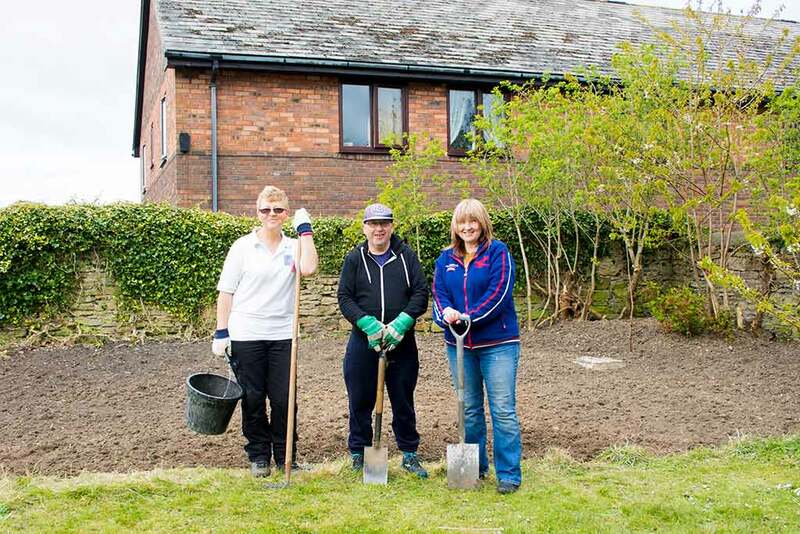 This was mainly the digging over and weeding the patch; hard physical work but rewarding as the patch began to take shape. 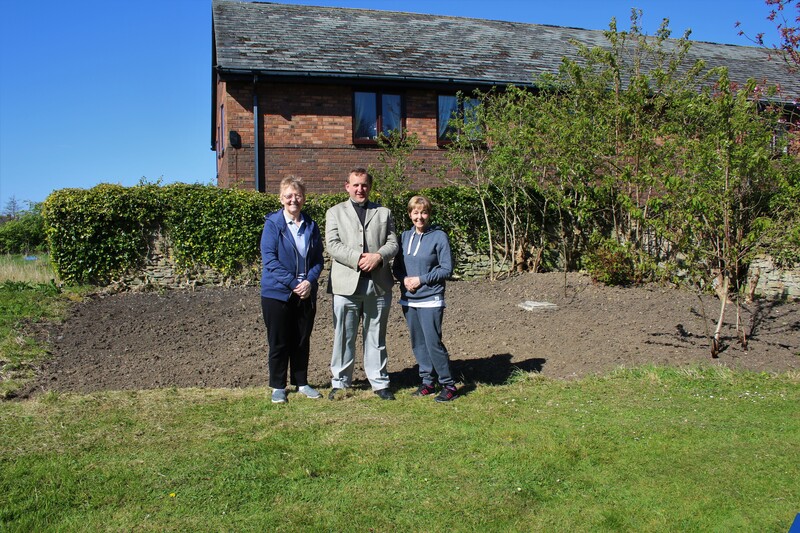 The final push was completed over the period 19th - 21st April and done by Janet and Lennie saw this project complete and ready to hand back to the Church for the final phase of grassing the site and placing a dedication plaque. In total the project took over 55 man hours and around 60 large sacks of debris were taken to the Council dump. The completed site was handed back to Fr. 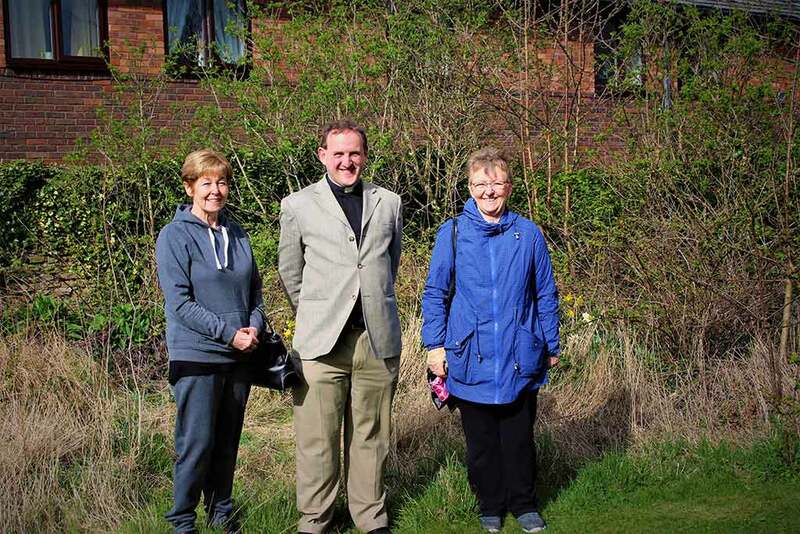 David and the Church Wardens on 3rd May. Overall a very satisfying project and we look forward to seeing the patch when it has been turfed and the plaque put in place. On 5 November 1953 Guy Heatherington was born...prematurely. His parents were Harold & Olive Heatherington and Guy was a much loved brother for Eric, Paul & Stuart. Sadly Guy contracted pneumonia and died on 1 January 1954. The Very Rev Trevor Beeson was later Dean of Winchester Cathedral from 1987 to 1996 but in 1954 he was assistant curate at St Ives' Church. At the time, he remarked that Guy's funeral service was the hardest thing he'd ever done. Guy has never been forgotten. Over many years on 5 November, it would be said, 'Guy would have been x years today,' Guy's memory is commemorated in a shell used in baptisms in St Ives Church. Guy was buried in an unmarked grave in this site. Thank you Paul, it was because of stories like the one you have posted that we took on the hard but gratifying project. We hope that many people who have Children or relatives that may be buried in that plot can take comfort in seeing it finally being marked and recognized. And in this churchyard there are many more members of the Heatherington family, notably a Thomas Heatherington near the church entrance door and this shows he had some standing with the church. He was the first landlord of the coaching inn that later became the East House on St Ives Road. The house was owned by the Dunn family and Thomas not only paid a rental but succeeded, through nefarious means, to sell a strip of land adjacent to one Joseph Nicholson, who built what is now Clifton House upon it! In true Leadgate tradition. So, Paul if you're still looking in, get in touch and we'll see what else we can find out together and perhaps I can add a little more. It may be worth checking how Thomas spelt his name. It may be 'Hetherington'. From my family tree researches I don't think he is a relative of mine. My branch of Heatheringtons arrived in Consett late 19th century. My mother, then Olive Marr, moved to Leadgate in the 1930s with my grandfather, Eden Colliery Under Manager. Mum & Dad made their home in Leadgate after WW2. I have, of course, ancestors with a variety of surnames. There is a family tradition that the first burial in St Ives' Church was a relative, though not a Heatherington. Some day I must check that out.